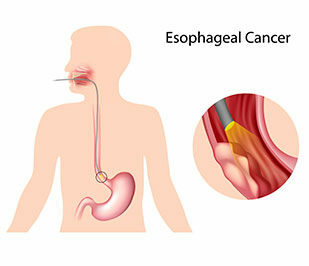 During an upper endoscopy (also called an EGD, gastroscopy, or esophagogastroduodenoscopy), your gastroenterologist will use a small, bendable lighted tube, inserted through the mouth, to closely examine the lining of your esophagus, stomach, and the top portion of your intestines, known as the duodendum. Who Needs a Upper Endoscopy? An upper endoscopy (EGD) is the recommended procedure for patients experiencing symptoms such as persistent stomach (abdominal) pain, vomiting, trouble swallowing, and heartburn or those who have a family history of esophageal cancer. An EGD can find and evaluate bleeding, inflammation, ulcers, and tumors of the esophagus, stomach, and duodenum. An EGD is useful for detecting cancer, allowing your gastroenterologist to distinguish between cancerous and non-cancerous conditions in the upper GI tract more accurately than an x-ray.